At Cedar Dental Centre in Kamloops, we create custom-made night guards for our patients who clench or grind their teeth during sleep. Night (bite) guards protect your teeth from the effects of bruxism – teeth grinding or clenching during sleep – and jaw joint disorders. If you wake up with a sore jaw, a headache, or sensitive teeth, you should discuss night guards with your dentist. Depending on the application, a night (bite) guard may be either a bite splint or a bite plane. Your night guard will be made based on molds taken of your teeth to fit your mouth comfortably. Bruxism – if you grind your teeth during sleep, your night guard will act as a barrier to protect your teeth from damaging one another. Jaw Muscle Dysfunction (TMD) – If you have TMD, your night guard will help prevent jaw clenching during sleep, and will provide relief for pain and discomfort. The foundation of good long-term dental health is prevention. 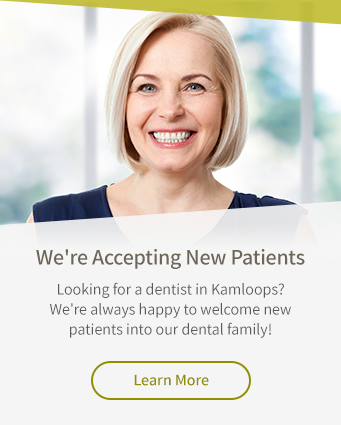 Custom night guards supplied at our Kamloops dental clinic will help you protect your teeth and jaw from damage, preventing the need for more invasive treatments in the future.